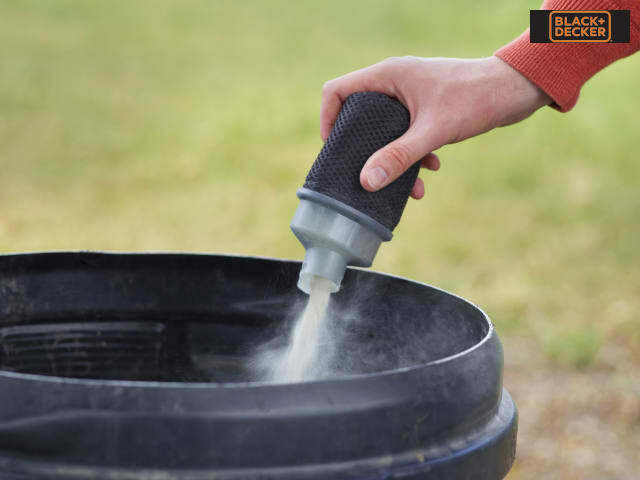 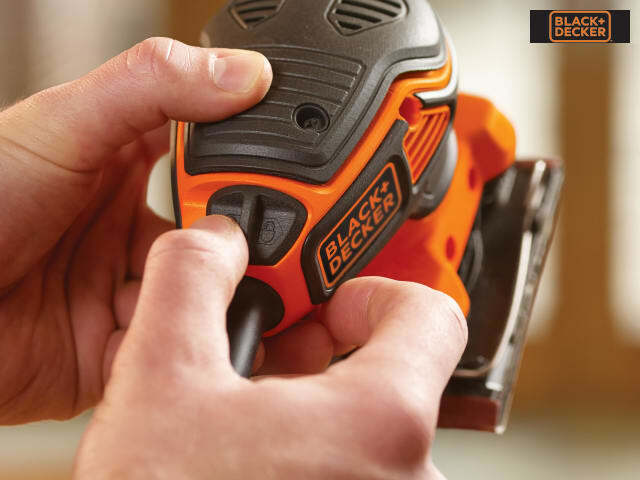 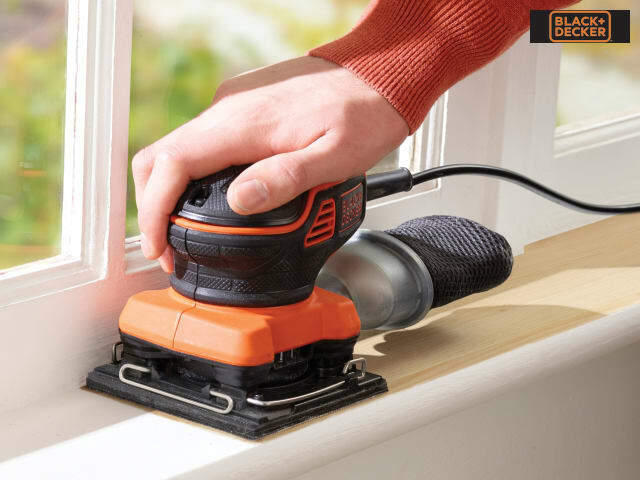 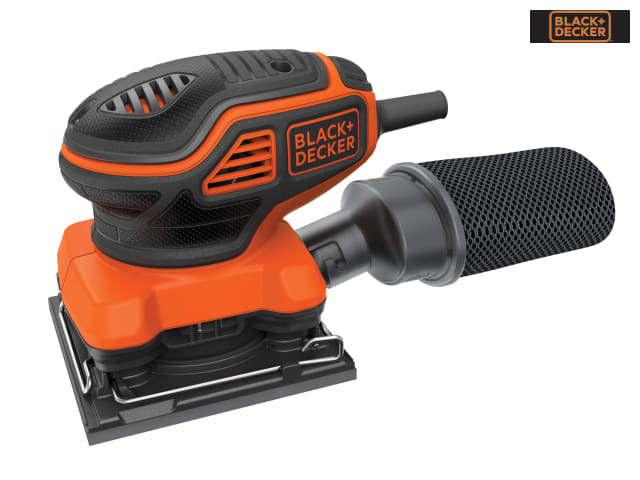 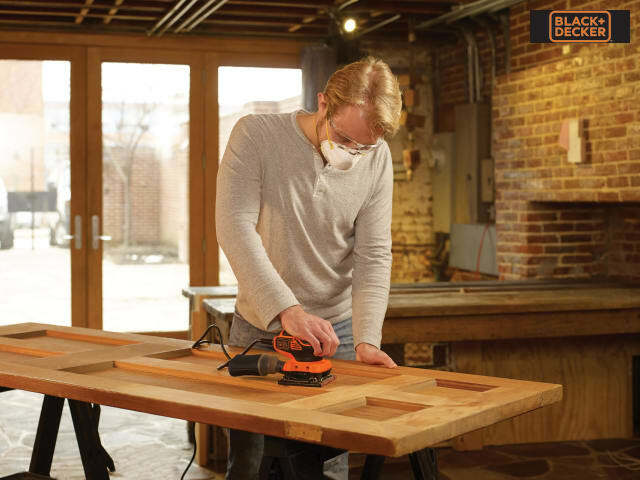 The Black & Decker KA450 Paddle Switch Orbital Sander has a compact, powerful motor that gets the job done quickly, with a large orbit size and high sanding speed for faster material removal. 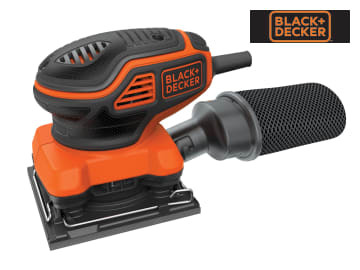 The compact design enables you to get closer to the work surface for greater control. 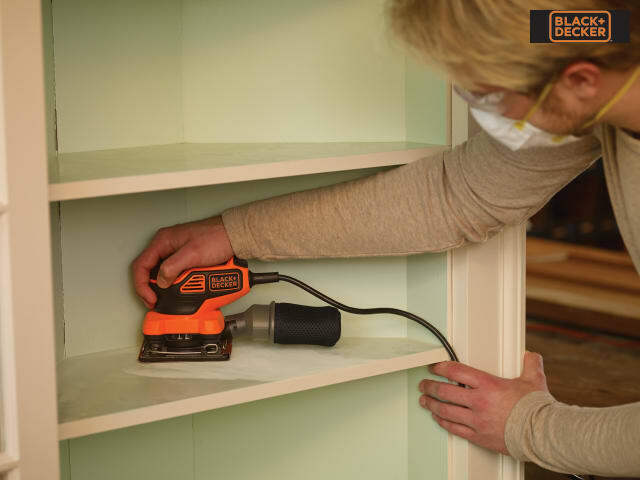 Its quick and easy to change the paper, via hook & loop or traditional clip attachment. 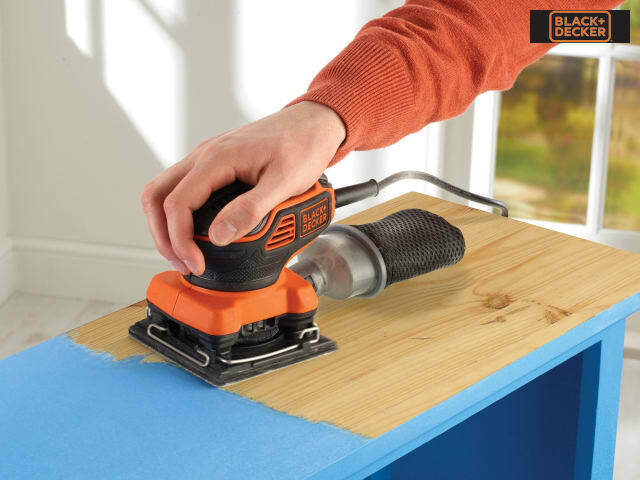 Supplied with: 1 x Mesh Sanding Sheet & 1 x Tri Layer Dust Bag.